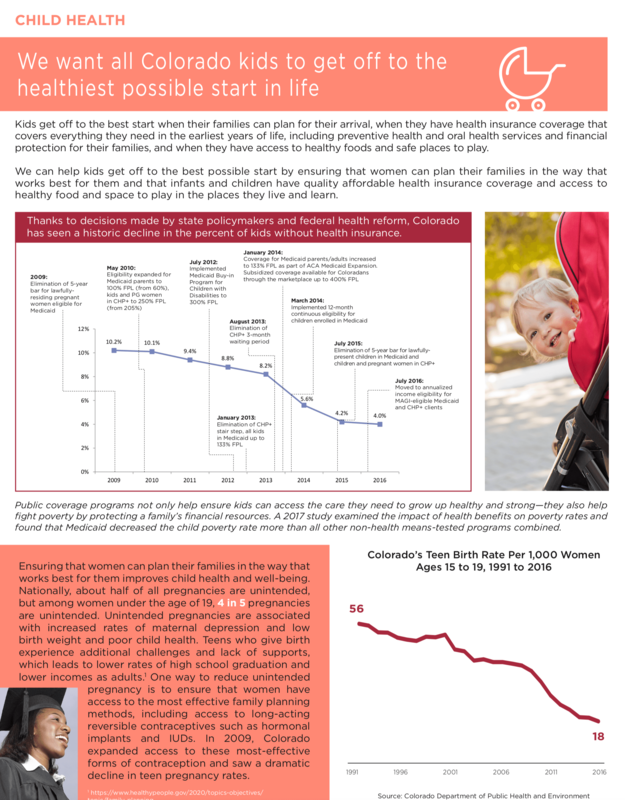 Learn about the trends in child well-being in Colorado. Download a copy of this guide to talk to candidates, or to inform your own campaign. Ask candidates important questions about specific issues such as health, education and early childhood—use our fact sheets as guides. Kick your advocacy up a notch with our Advocates’ Guide. 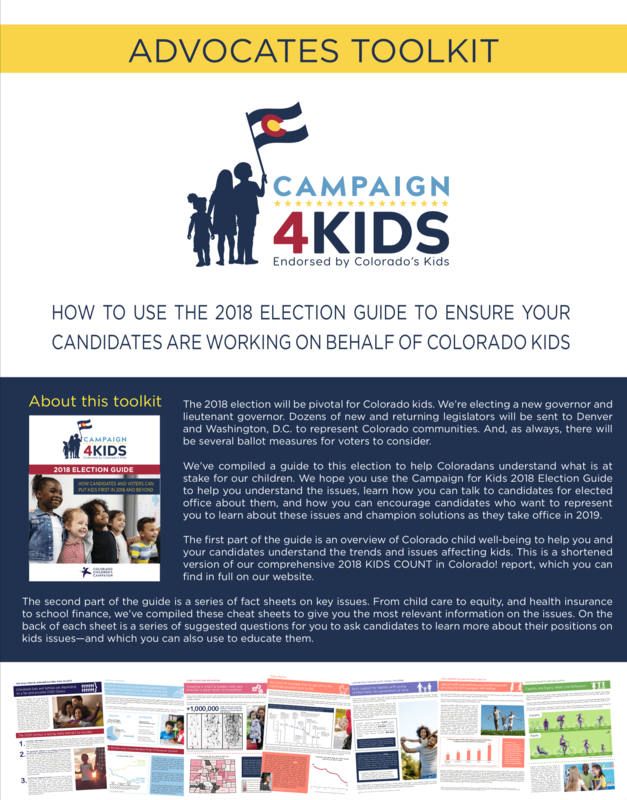 Learn the best ways to ensure candidates know about children’s issues in Colorado. 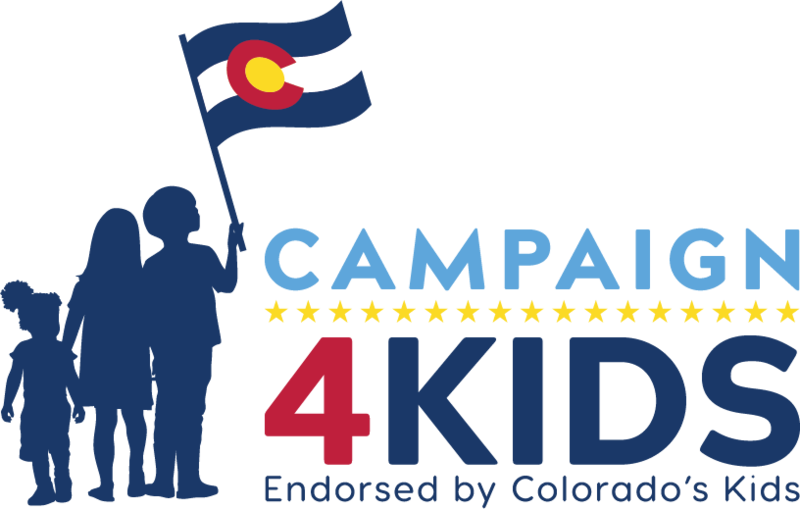 Keep friends and family updated on how you are speaking up for kids by using #COKidsVote in your social media posts this election season. As Colorado’s child population grows, it is vital that we equip every child with the skills and resources he or she will need to thrive. Our child population has increased steadily for decades. Colorado’s child population grew faster than all but five other states between 1991 and 2016, and three times faster than the U.S. child population. That growth hasn’t been even across the state, however. Some of our rural areas have seen slow growth, and even declines, in the number of kids in their communities. Source: U.S. Census Bureau, Population Division. 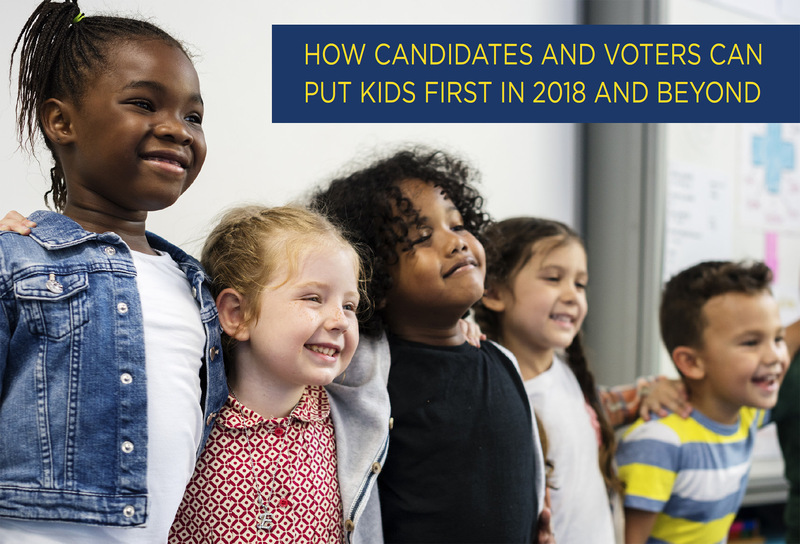 Colorado kids are leading the way to a more diverse and prosperous Colorado. 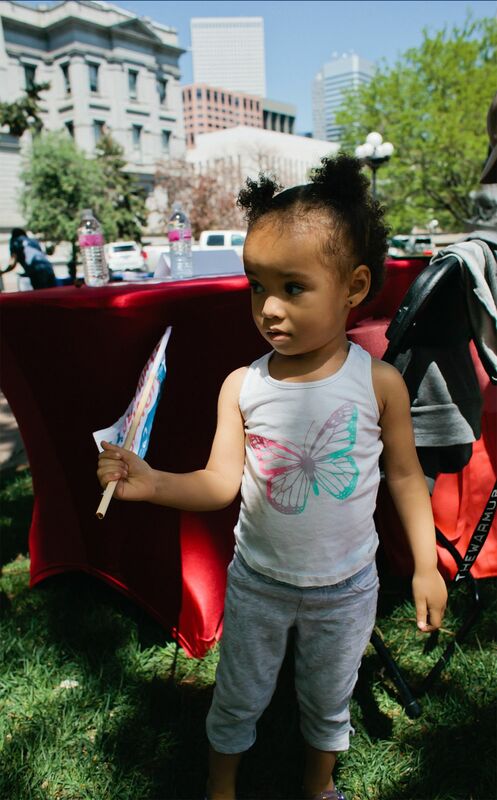 Children of color make up about 43 percent of all Colorado kids. 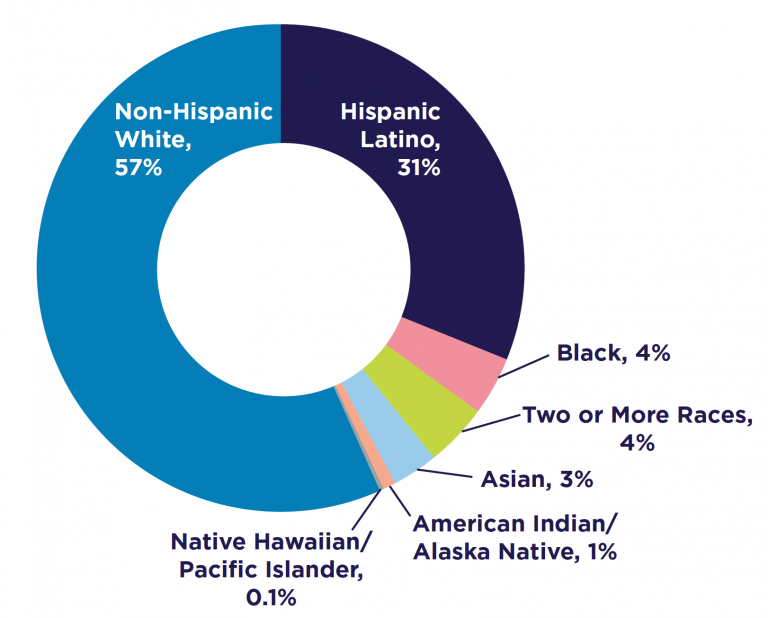 Our child population is projected to be majority children of color in 2031. That’s when today’s kindergarteners graduate from high school. We need to ensure all our children have the opportunities they need to thrive. Unfortunately, children of color and their families continue to face more barriers to prosperity than their white peers. This is due to past and current practices in our health, housing, education and financial systems that created barriers based on race and ethnicity. Sources: U.S. Census Bureau, Population Division. Colorado State Demography Office. Colorado youth population estimates by race and ethnicity 2000-2016, projections 2017-2050. Created November 22, 2017. Based on Census 2010 Summary File 1 release. Since 1991, Hispanic/Latino kids in Colorado saw the largest numerical increase in population. The number of Hispanic/Latino children grew by more than 230,000 kids between 1991 and 2016. Asian and Pacific Islander children saw the largest percentage increase between 1991 and 2016, growing by 162 percent. 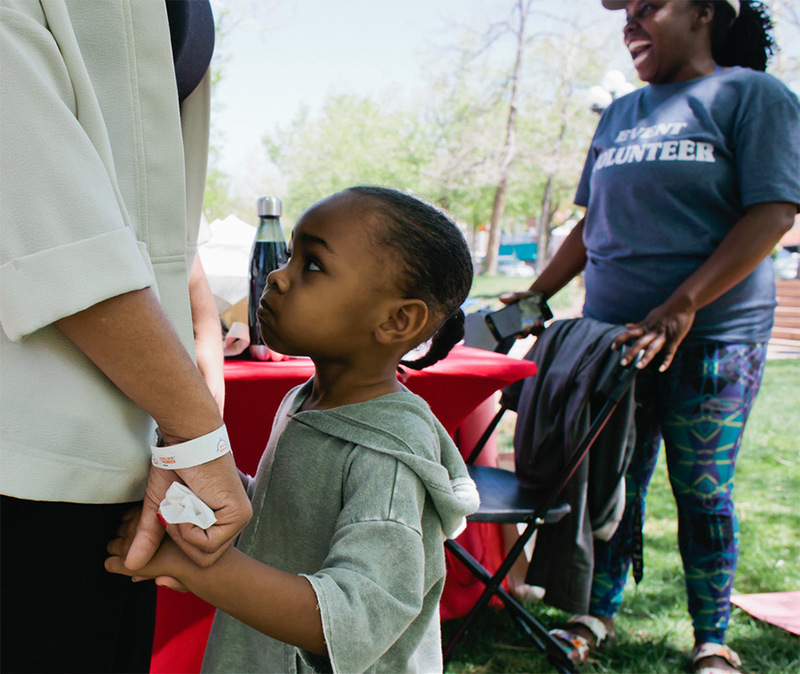 All Colorado families want to provide a better life for their children. This is hard to accomplish, however, depending on your race and ethnicity, and where you live in Colorado. Overall, our child poverty rate has been gradually falling since the Great Recession and sits at about 13 percent—compared to a national rate of 19 percent. 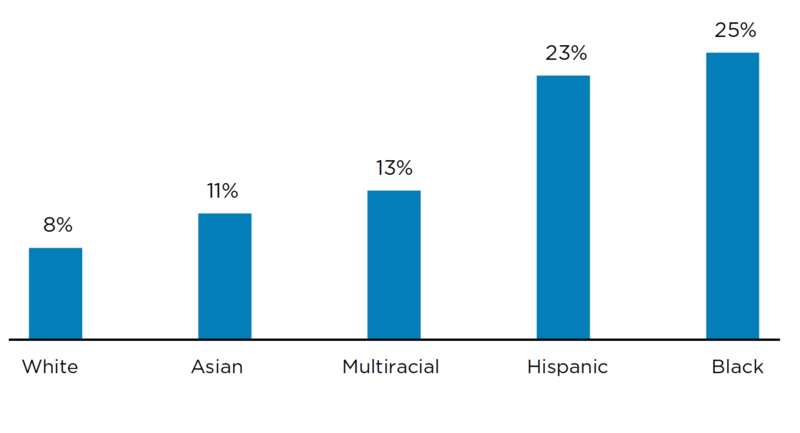 When we look deeper in the numbers, however, we see that child poverty rates are far higher for children in families of color. This is due to barriers to economic security such as redlining in the housing market, employment discrimination, and inequitable criminal justice practices. Throughout our country’s history, policies and practices have helped move some families along the path to economic security while putting up roadblocks for others. Practices such as redlining in the housing market, employment discrimination, and inequitable criminal justice policies have created circumstances in which children of color are more likely to experience poverty than their white peers. The 1993 KIDS COUNT report noted a racial and ethnic inequity in child poverty rates, and it persists 25 years later. *Single-year poverty rates for American Indian children and Native Hawaiian/Pacific Islander children are unavailable due to a small sample size. Reliability of estimates can be increased by examining five-year aggregations of data. 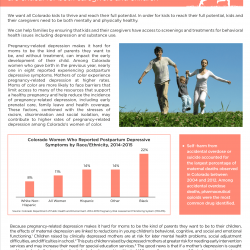 During the five-year period from 2012 to 2016, 31 percent of Colorado’s American Indian/Alaska Native children and 39 percent of Native Hawaiian/Pacific Islander children experienced poverty. Note that these five-year estimates should not be compared to the single-year estimates in the above graph. Child poverty rates also vary greatly by geography due to uneven access to employment, low wages in some sectors of our economy, and lack of access to child care and other support families need to work. What does it mean to live in poverty? 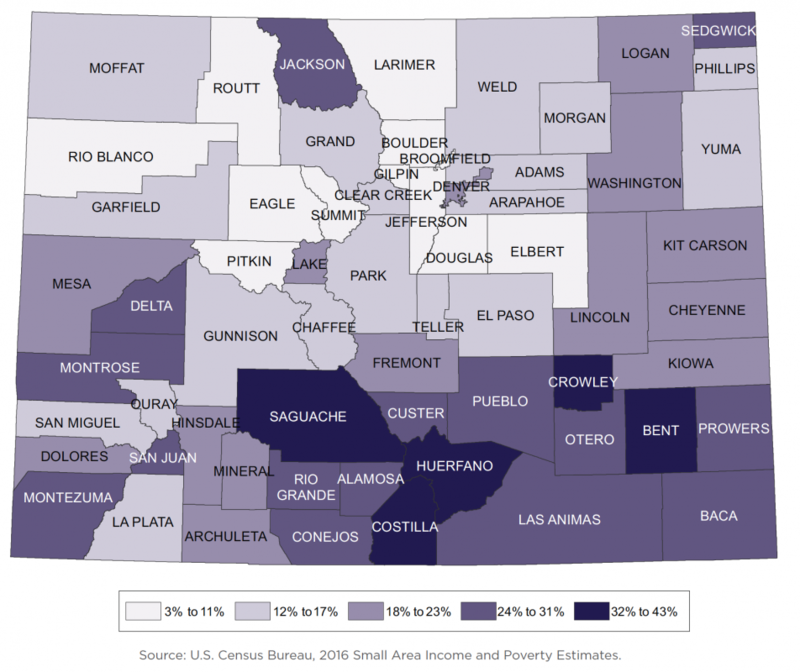 Our federal definition of poverty-level income applies the same whether you live in Alamosa or Aspen. A family of four earning less than about $24,300 a year is considered living in poverty. 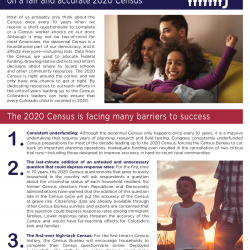 We all know the cost of living varies drastically across Colorado and families struggle to pay for health care, child care, housing, food, transportation, and other necessities even while earning much more than the federal poverty level. 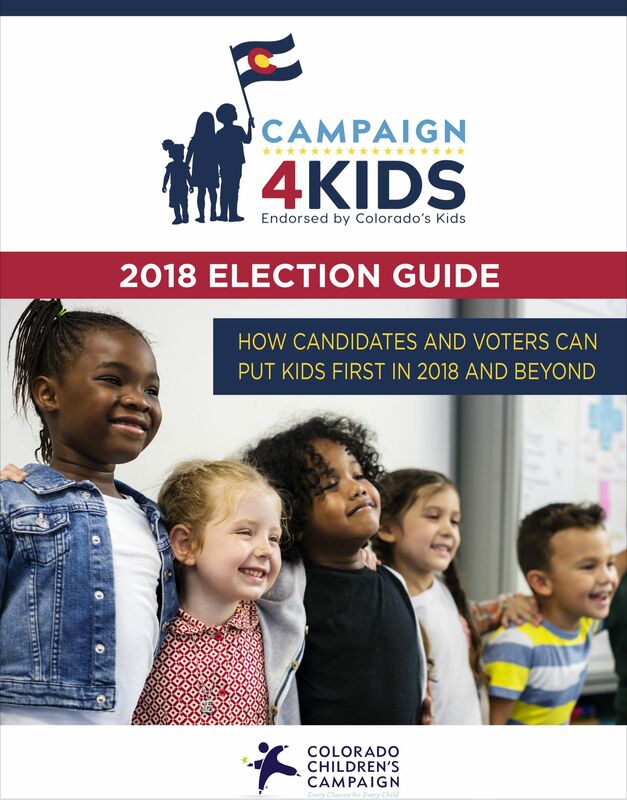 Kids do better when the adults put them first at the Colorado State Capitol and in Washington, D.C. With this information and much more available in KIDS COUNT in Colorado!, you can speak up for kids whether you hold office or want those who represent you to reflect your priorities. 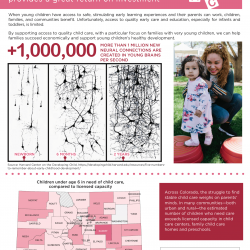 What is our responsibility to Colorado children? If some of our kids aren’t doing well, what does that say about us as a state? Should we be proud of a Colorado in which only some children can truly aim high? Your job will be to ensure Colorado has a prosperous future. 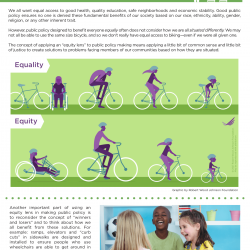 If you place children, especially very young children, and their families at the heart of your policy and public investment strategy, then we can make that happen together. We must acknowledge, though, that children of different backgrounds face greater distances to opportunity and so we must do all we can to ensure our focus begins with these children and families. How will you make kids facing the most barriers a priority? If we want our own kids to be well, happy and smart, we need to make that true for all Colorado kids. The 2018 election is a huge opportunity to make a big step in the right direction. Working together, we can ensure all our elected officials start their first day knowing the issues and opportunities facing Colorado kids. Thank you! 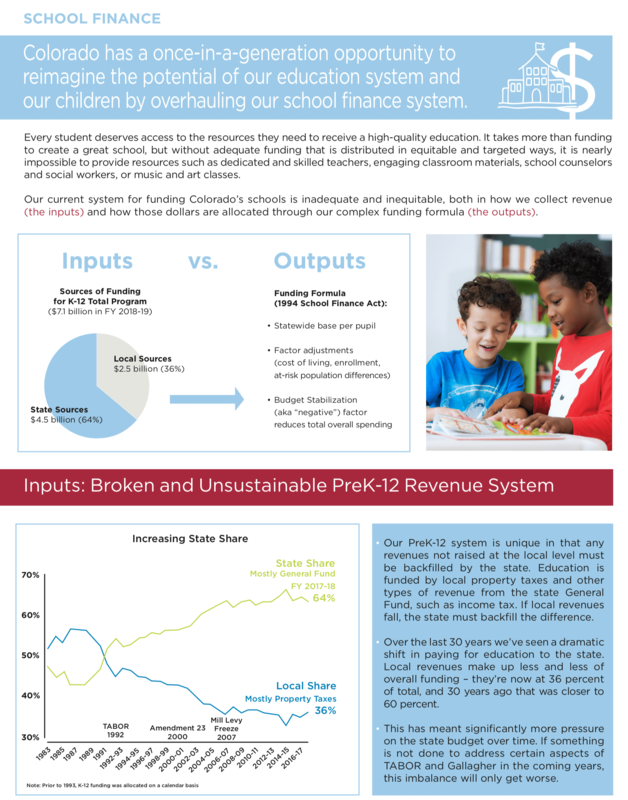 We created these district-specific fact sheets for legislative candidates to learn about child well-being in their districts. Advocates are welcome to download them and put them in the hands of candidates as well. 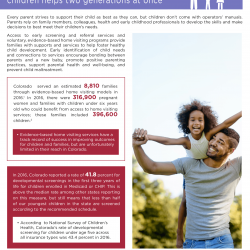 You can find much more data, organized by county, in our annual KIDS COUNT in Colorado! report as well as the KIDS COUNT Data Center. You can access both at www.coloradokids.org/data.